The end of well-established Key Stage 3 Attainment Levels in September 2014 was greeted with huge reticence from schools and created a real sense of panic amongst teachers – teachers were left feeling extremely insecure about being told to go away and develop their own assessment methods without guidance. The reality is that ‘life after levels’ has been a good thing because of what was fundamentally wrong with levels in the first place. They were not designed to be an assessment system. They were equipped to respond to government on ‘whole levels’ – a description of attainment at the end of each programme of study – but were too broad and wide for application within schools, even with the later introduction of sub-levels. The system itself was not fit for purpose. When levels were the norm they were viewed as thresholds and teaching became focused on the next threshold, instead of ensuring pupils were secure in their subject knowledge, skills and understanding. The worst-case scenario was that the depth and breadth of understanding was forsaken as levels were used as the ‘best fit’ model. This meant that a student could have serious gaps in their knowledge and understanding, but still be placed within a given level. Teachers, pupils and their parents were not always clear where the strengths lay and where the gaps were. As a result, measuring how much progress was being made in Key Stage 3 and predicting outcomes in GCSEs became somewhat patchy and erratic. So, in effect, schools were left with three options on the table: stick with levels for as long as possible, prepare to purchase an ‘off the shelf’ system that was being built by a third party, or devise an entirely new system from scratch. Initially, the government launched a competition encouraging schools to develop and share innovative new assessment methods for other schools to use. Eight winners were chosen by an independent panel on behalf of the DfE in May 2014. However, there was little information and evidence coming out at a time when most schools were seeking answers to develop their own plans. By this time, in any case, we were already well on the way to creating our own system at Darrick Wood School. Driven by our forward-thinking local authority in Bromley we formed an initial working party with other schools in the area to exchange ideas and come up with a workable solution. From our side, that solution went on to take the form of STEPS – Strategic Targets for Educational Progress and Success. 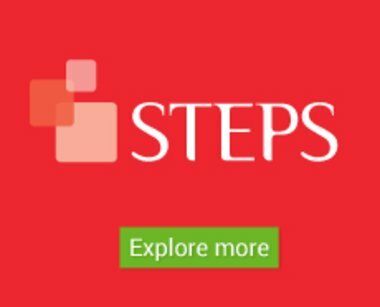 STEPS is an assessment and progress monitoring, tracking and reporting programme for secondary schools. It uses the frameworks and assessment focuses already created by subject leaders since the introduction of Assessing Pupils’ Progress and the National Strategies, adopting positive elements from a range of systems to create a comprehensive, proven solution to life after levels. Crucially it is compatible with SIMS and uses FFT Aspire and Cognitive Abilities Tests/MidYIS data to help triangulate baseline data for each student. The cornerstone of STEPS is a simple grid and a progressive set of attainment targets that present challenge at all levels of ability throughout Key Stage 3. The grids are broken down into subject ‘Strands’ and then ‘Steps’. This level of detail means pupils can make fine levels of progress and teachers can create incremental, personalised targets based on assessment throughout Key Stage 3. It also provides crucial baseline assessment tests; purposeful, valid data; clear targets for pupils, and consistent reporting. There is definitely still work to be done as a sector. It varies greatly how effective secondary schools are, right now, in benchmarking new pupils in Year 7 and measuring progress in Years 7-9. Some had an idea on what they want to do and have developed their systems but, in my view, many have not thought enough about the progression side. Teachers, being teachers, are trying to make it work. There isn’t a week goes by when I don’t get calls about assessment without levels – there are lots of good ideas out there, but nothing proven, and arguably nothing tried and tested like we have with STEPS. Martin Smith is Assistant Headteacher at Darrick Wood School and designer and developer of STEPS. 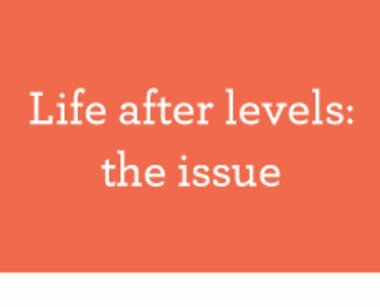 Life after levels – what next? can be downloaded at www.scholastic.co.uk/ks3. Martin Smith, Assistant Headteacher at Darrick Wood School, is our guest blogger today. 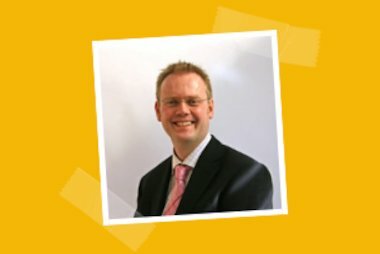 He takes an in-depth look at KS3 assessment and the steps schools are taking to move forward after the end of KS3 Attainment Levels. Writer and educator John Dabell talks us through his 21 SATs revision tips.